Pre-legalization, cannabis marketing guidelines weren’t strictly defined. Cannabis brands could experiment in a grey space, driving brand awareness with large events, influencer campaigns, pop-ups, sponsorships and social campaigns. With legalization on October 17th, 2018, the Cannabis Act introduced a highly-regulated framework, outlining strict rules and regulations about how cannabis can be marketed. Penalties are severe for those who don’t comply with the regulations, with LPs at risk of having their licenses revoked, fines up to $5 million dollars, and jail time up to 3 years. So how can brands take part in the estimated 4.34 billion dollar industry that Canadian legal cannabis business is forecast to generate in 2019? We’ve pulled together a short list of winning recommendations to help brands navigate cannabis marketing. Businesses need to understand who they are talking to and know what makes their brand different. In cannabis marketing, it is even more essential to be outcome-obsessed. With limited ways to reach potential customers, you have to make sure every touchpoint resonates. Exploring what drives consumption for your target audience and creating compelling narratives that convey the right message is imperative to success. Are you a wellness brand targeting those looking for natural solutions to promote a better lifestyle, or a premium flower brand looking to speak to cannabis enthusiasts that have segued from the illicit market to the legal market? Or, are you trying to persuade part of the large group of first-time or former users that are ready to embrace cannabis now that it is legal? Each persona requires a different approach. Understanding your product offering, who you want to speak to and what your brand is doing to differentiate itself should be at the top of your list and inform all of your communication strategies. As the Cannabis Acts greatly limits traditional and digital marketing advertising, earned media plays a prominent role for cannabis brands looking to gain brand awareness. Foraging relationships in a new sector takes time. Tap into your closest relationships first. These are the people who trust you, know your work, client base, and are open to hearing from you. In some cases, these are the people who can share insights or will be willing to co-create interesting stories. Existing relationships are the ones that are always most happy to point you in the right direction to a new lead. There is plenty of Canadian cannabis business news but garnering lifestyle coverage or brand profiles is much more challenging. Traditional tactics like desksides, press junkets, op-eds and media events work to connect your brand to journalists looking for cannabis content. An always-on approach to news of the day can lead to wins for your clients. With years of stigma and negative perception attached to “stoner culture,” it can be tough to break down the barriers and open people’s minds to look at cannabis with a fresh perspective. Education is essential and leveraging a third-party expert can be crucial in securing media coverage. According to FAULHABER VP and Partner Lexi Pathak, community-building is a key area for driving brand awareness. “Building an owned database is essential as it is one of the few avenues permitted by the Cannabis Act to directly communicate directly about your brand”, Pathak states, having worked with multiple clients through the transition of cannabis legalization. Strategic partnerships can be extremely effective in growing your database. Forging brand partnerships where you can align your brand with an existing community is an instant way to get exposure to a new audience. Award-winning wellness brand dosist partnered with cult-favourite Barry’s Bootcamp to host a series of free fitness classes driving health-conscious attendees to its 10-day wellness pop-up during TIFF. To summarize, develop a smart strategy to collect emails and then find a way to engage your audience with compelling content. A great example of this is 48North’s content platform Latitude, which explores women’s relationships to cannabis. Instead of focusing on what you can’t do, channel your energy on devising creative campaigns that play within the space you can. The Cannabis Act allows promotion that is informational and age-gated. This means activating at nightclubs is a safe zone for cannabis brands as is hosting your own private 18+ events as long as the promotion is informative. The regulations also allow brand elements to show up on other non-cannabis products as long as they comply with certain rules. 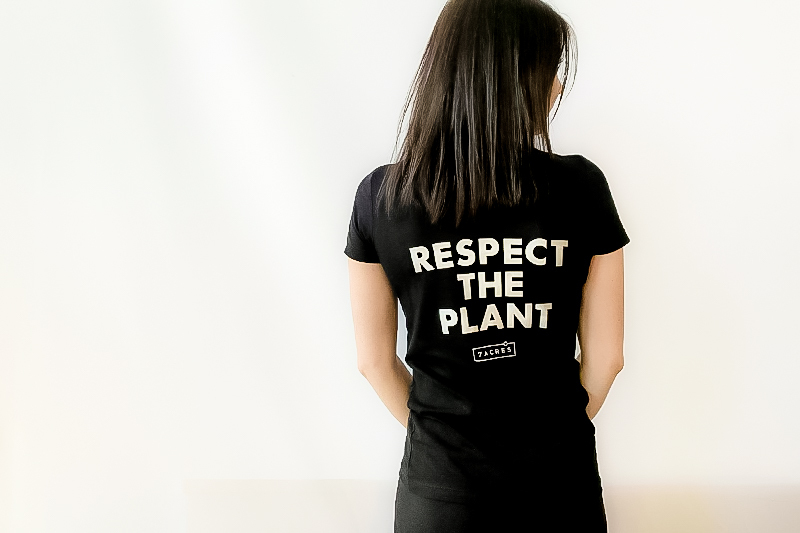 This means activating influencer relations is possible with clever use of branded goods that don’t directly connect to cannabis consumption or appeal to youth. While cannabis brands cannot use social media advertising to target potential consumers, native advertising and strategic partnership provide workarounds. Many people speculate that the strict regulations will gradually loosen over time as people come accustomed to cannabis as a legal substance, similar to both the tobacco and alcohol industry previously. For now, cannabis marketers must continue to work within regulations while pushing the boundaries with innovative, creative and disruptive ideas.